If you’re curious about Greek life, let college girls from across the country explain what to expect when it comes to sorority parties, dues and sisterhood. In part two of our recruitment series, Chicsters Hayley Lollar, Brooke Stafford and Margaret Abrams walk you through the process of picking out the perfect outfit for rush and the true cost of sorority life. If you’ve ever wondered what happens after bid day is over, this is your guide. What do I wear during recruitment? HL: You’ll be given specific information about recruitment attire after you register. Each day is a little more formal. MA: You’ll be given pretty specific guidelines but you should always make sure to let your personal style show through. When I went through rush I wore a music note sweater from Anthropologie and it was a great conversation starter. If you look clean and put together you won’t have a problem. Make sure to wear something you’re comfortable in, because the last thing you want is to be wiggling in high heels or pulling at Spanx. Don’t feel like you need to fall into a cookie cutter mold that you see on TV — wear something that’s distinctly you. BS: At Penn State, each round has a special dress code. Keep your outfits simple and dress the way you normally would! Let your style be a reflection of who you are. Don’t wear stilettos! Your feet will be killing you by the end of the night. 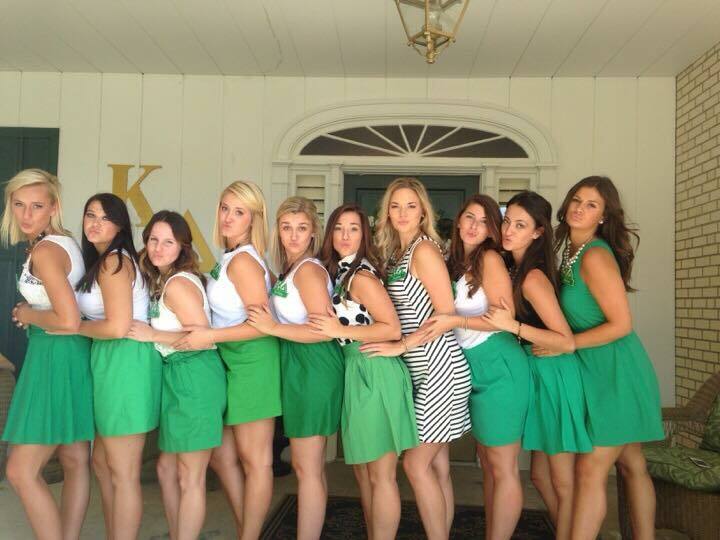 How much does being in a sorority cost? HL: Like any membership organization, being in a sorority does come with dues. Each sorority differs in the amount members have to pay each month and it also varies from campus to campus. This information should be available to you on the Greek affairs website, in registration information and discussed during recruitment. If you have any questions or concerns about chapter dues, recruitment is the best time to get answers. MA: You will have sorority dues so make sure to ask what they are when you’re going through recruitment. Don’t be too embarrassed to figure out the cost because the girls will be happy to explain it to you. While it does add up to hundreds of dollars, it goes towards activities (think yoga, sisterhood events like pottery and jewelry making, and bounce houses), parties (date parties, mixers, semi-formals — including drinks and snacks) and weekly meals in the sorority house house. BS: Though most sororities cost money, some cost more than others. 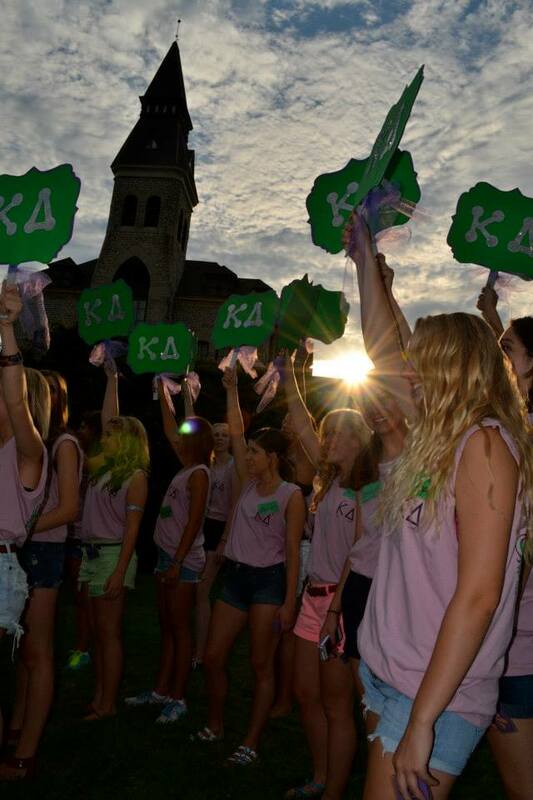 During recruitment, do not be afraid to ask recruiters how much their sorority costs! Do I get to move into the house after I accept a bid to a chapter? HL: If there’s an open spot in the chapter house, there is a possibility you could move in after bid day. Members will share any opportunities to move into the house during the first meeting. When it comes to larger campuses or campuses with smaller chapter facilities, moving in right away may not be an option. MA: Some sorority houses you don’t actually live in! If moving into the house is important to you, make sure to do research in advance to see how many girls live there already. What should I expect from formal and semi-formal? HL: Formal and semi-formal are date parties and they are SO much fun. They are comparable to a high school prom or homecoming, without the high school drama or pressure. It’s your sorority’s formal so ask whoever you want to be your date! MA: Formals are so much fun. You get to dress up and hang out with all of your best friends. It’s like having access to the most awesome party of all time once a semester. Usually semi-formal is in the fall and a little more casual (think Homecoming), while formal happens in the spring and is your chance to go all out. What’s a big and a little? HL: A big is an older sister who becomes your mentor and guides you through your sorority experience. Your first year in your chapter, you’re a little sister to your big and your second year you get a little. 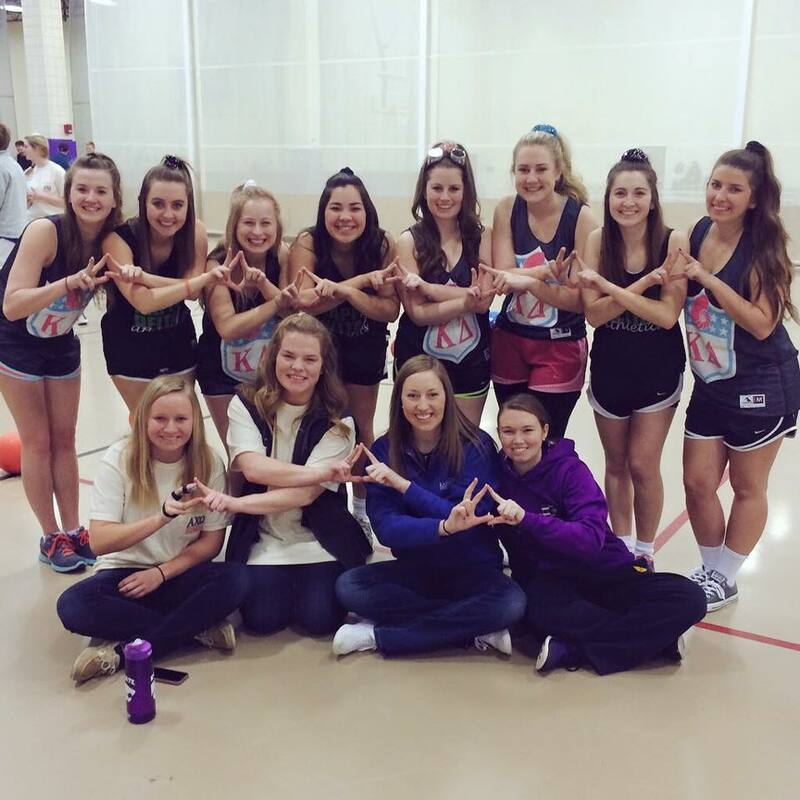 Many sororities have special big/little reveals, when you find out who your big sister is. MA: A big sister is a member of the chapter you choose to mentor you after meeting all of the older girls in your sorority. It’s a great way to get to know older members of the chapter in different pledge classes and it gives you the sense that you have a family away from home. You can also have a twin, which means that your big will have two littles. When I joined my sorority I was so clueless about Greek life that I thought they were referring to actual twins (whoops). Even a couple of years after graduation I’m still best friends with my Greek family. BS: A big is someone who shares common interests with you. You can go to her for anything you need throughout college and beyond. Your big will be your mentor, your shoulder to lean on and a lifetime companion.